Interview: Twin Shape ॐ Funk Lab Records ॐ ???? Your production has beautiful layers, what kind of training and experience do you have in music production? My Father and Grandfather are both musicians so I grew up around instruments. When I was young, about Six or Seven years old, my Dad bought me a drum set and an electric guitar. He always had synths and keyboards, too. So, I played on those a lot as kid. My parents never pushed me to do any music lessons, and I really just liked to experiment anyway. It wasn’t until my Thirteenth Birthday that I was given a nice acoustic and electric guitar that I really started to get serious. 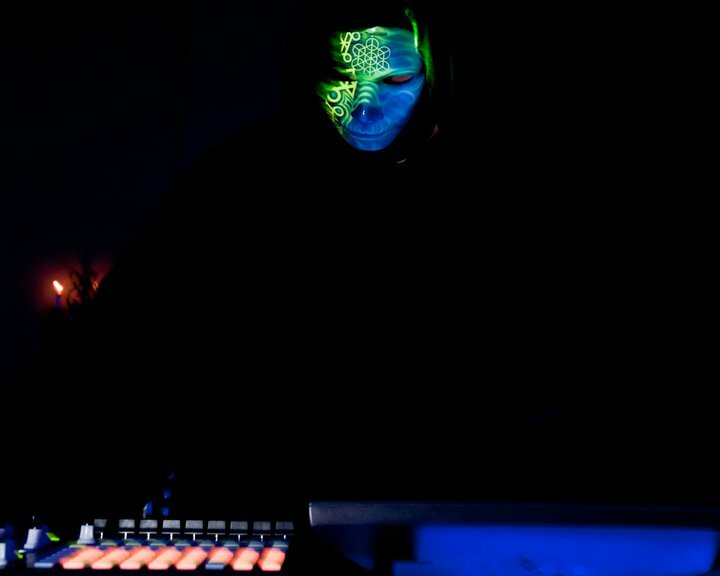 Sometime after that I found the rave scene and sold my guitars for turntables and then my turntables for my first synth. In 2002 I was introduced to Fruity Loops and moved from there to Ableton. I have owned about Fifteen or so different synths, but for now I am strictly “in the box”. During your live sets there is a cinematic feel as if there is a story being told. Is there a method to your performances? I love movies, so that is neat that you can pick up on that. My music definitely is influenced by things in, and periods of, my life – hope, love, friends, lessons, beauty, growth, struggles, and the conflict of change and emotions. So, while my performance may not intentionally be telling a story… Each song is. Overall the gene of Twin Shape is called Down Tempo but there are various genes that come up in just a single track. What are your influences in your sound? I listen to a pretty wide range of music, but for the longest time I really cut back so I wouldn’t be too influenced by the artists I was being exposed to in this realm of music (when working on the Twin Shape project). The first Artist that had an impact on me, for this sound, was Phutureprimitive, namely his Subconscious album. The fist Twin Shape type track I made came about by accident, really, I just started playing with the BPM of a track I was working on in another genre and something grabbed me. It was a month or so after hearing Subconscious and it reminded me of it, so I knew I had to be careful what I listened to so I could follow the threads path. At that point I had never felt so connected to the music I was writing and I knew I was where I needed to be. Other than that I grew up listening to a The Cars, Depeche Mode, Devo, The Cure… A lot of 80’s Synth Pop, but I have listened to Industrial, Rock, etc, too. Other than what I grew up with I would say EDM had a huge impact as well. 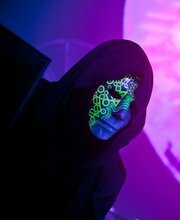 I love all forms of Progressive, Psytrance, Breaks, and DnB. And of course I listen to a lot of Trip Hop and Psychill like: Massive Attack, Ott, Lamb, Androcell, Shpongle, and tons of other artists. You’ve been touring for a while now. Is there a favorite event that you’ve played so far? It is hard to pick a favorite… My most memorable would have to be my first performance, which was for Atrium Obscurum at Peto Lux Lucis. It had the biggest impact. I had passed up a few bookings prior to that because I hadn’t yet completed enough music for an entire set, but I took this one because I knew it would force me to be ready. It was far enough out that I knew if I stuck to it I would be OK. So, I told all of my friends that I wouldn’t be around for a while, moved into a friends place over an hour away from everything, with no internet, and I spent everyday working until I was done. It was like being alone really because my friend worked nights. The show wasn’t perfect, but it felt so good to finally play live and share my music. And that is something I had been wanting to do for many years. I learned a lot and am thankful that I was given that opportunity, plus I met a lot of great people. 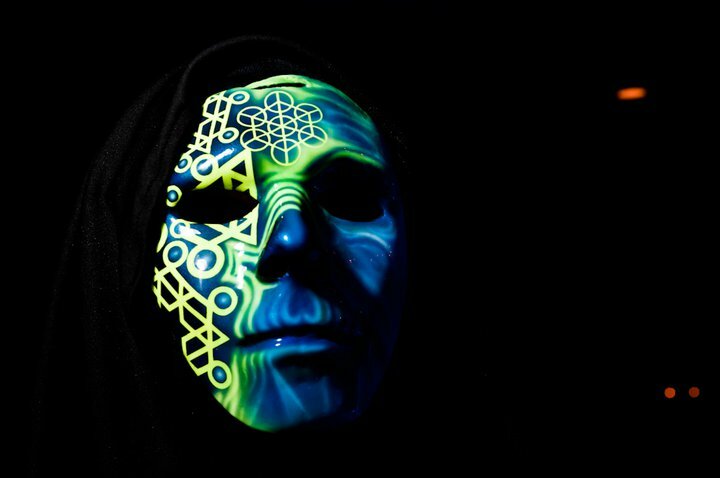 There is a mystery around the psychedelic mask that you wear when you perform, why the mask? I think it shows my true face better than the one under it. If people really want to know “me”, the music I play and the art I wear say a lot more than my words and skin cells do. I like to take that part of myself out of the equation and try to align my true self with the emotion and message in the music for people to share with me. I think it helps me feel not so naked as well; I never feel so bare as when people hear my music. Huge thank you to everyone, and everything, that has been in my life and shown me or taught me something. That sign will be approximately 30 feet to the left of the entrance to the land. The sign is white with black paint. He’s currently working a full length album. A remix to be released in November on Harmonious Discord.